Is This Why Alien Disclosure Hasn’t Happened? People in the UFO/Alien community have been frustrated for decades, knowing that governments on earth know we’ve been visited by non-terrestrial beings and aren’t telling the public the story, for varying reasons. All of which seem ridiculous, but nevertheless persist. So, now, I’m going to present a what-if scenario. But it’s based on what I’m now hearing alien and UFO disclosure experts saying over and over lately. And those of us who’ve been exploring the deeper and darker aspects of what’s really been going on on the planet for centuries, it might make sense. As always, you can take it or leave it, but many of you will know what I’m talking about. Whether or not you believe this is your choice. Recently, David Wilcock disclosed some information on a very reputable and well-researched Youtube channel known as Edge of Wonder. Now, I have had mixed feelings about Wilcock over the years because many of his stories seem far-fetched. But I often feel that people like him that repeatedly stand up to immense ridicule day after day in order to distribute this information, may have something valid to say and that we should at least listen. David Icke is another such type. But this is important to remember: if we dismiss every presented wild idea as a conspiracy theory, we might just miss some truth. Which brings me back to my story, which curiously starts with the wildfires in Paradise, California. 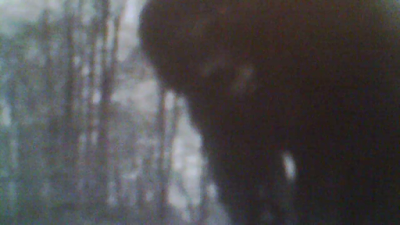 Is it a Bigfoot, Hog or a Monkey? 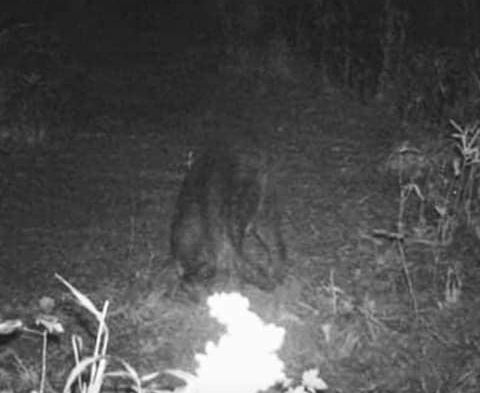 This reported game camera picture is setting Bigfoot Facebook groups on fire. 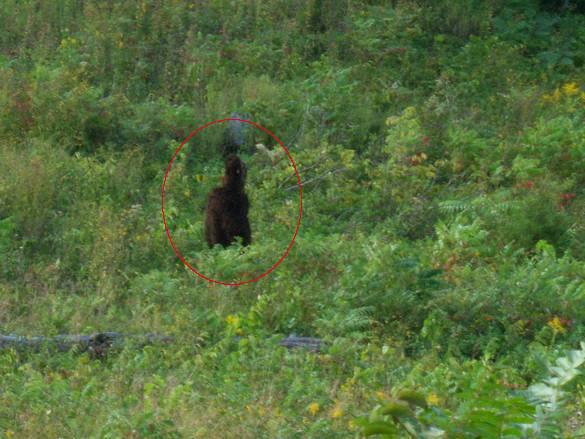 It has sparked some spirited debate as to just what kind of critter is in the photograph. 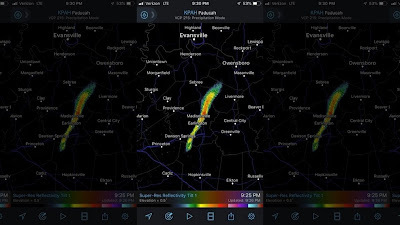 Here is what we know, so far, about the image. The picture comes from South Carolina and it was taken by a trail camera. Many believe it to be a juvenile Bigfoot while others say they see a feral hog. Here is my thought and some more enhanced pictures. The Legend of Boggy Creek was created and directed by Arkansas native, Charles B. Pierce. The film was released in 1972 and it has obtained an iconic cult classic film status. It is one of the all time favorite films for many Bigfoot researchers. The film itself was inspired by true events that happened in the small town of Fouke, Arkansas. 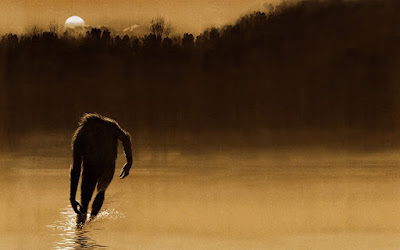 The Fouke Monster, as it was called, was a reported aggressive Sasquatch-like creature that was sighted in the town of Fouke. Now all these years later, the film is getting the make over it deserves and it is being restored to 4K. This massive project and undertaking is being conducted by none other than Mr. Pierce's own daughter, Pamula Pierce Barcelou. We recently sat down with Ms. Barcelou to learn more about the film, the restoration process and release dates. Another Possible Bigfoot Photo From Kentucky? Here is another mysterious picture that when I started looking at it, I had no background information. This image comes from the now shutdown website known as Topix forums. Topix main website is still up but the forum section has now been closed down. The forum ran for many years and many people used it to expose crime, spread rumors and to tell lies on people in their community. It was largely unmonitored and you could post under any screen name without signing up. But there were also some legitimate forums on there that were more focused on real news and other topics. The forum this image comes from was a photo album of unexplained creatures from Berea Kentucky. 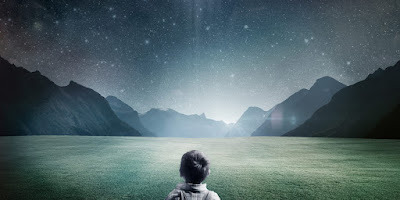 There is no such thing as “just a dream.” When we dream, our subconscious mind is hard at work sending us messages about what we need to fix about ourselves in order to be happy and feel better. And even nightmares serve this purpose if we examine them closely. We often have dreams about strangers, but it’s the dreams about people we know that we should pay special attention to. Okay, so it's not hardly that exciting but this is an interesting game camera capture. While we can't say for sure just what this is, it does appears to be rather hairy. While a lot is not known about this image, I can tell you a little bit about it. 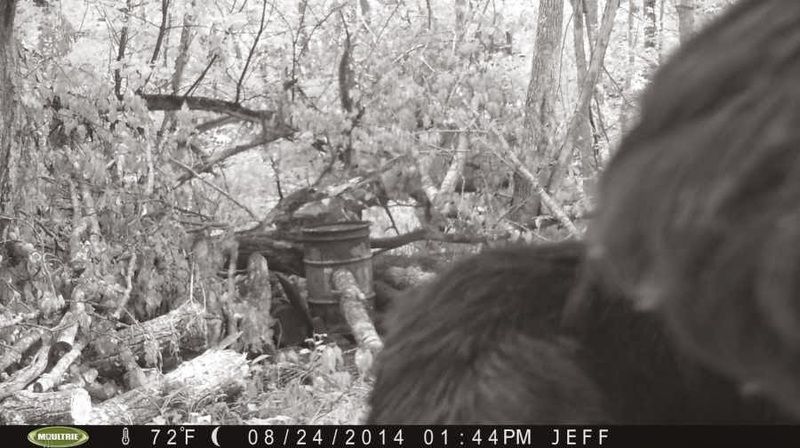 Did a Trail Camera Catch a Picture of Bigfoot? I ran across this rather interesting trail camera photo today. There appears to be a black upright figure in the image. I do not know very much about this picture or who for sure it belongs to. The only name I could find associated with it was an Amanda Young. Could this be a real Bigfoot? or is it just something else. I will attempt to enhance the picture and tell you more about the back story, even though I don't know much about it. I filmed several videos over the summer and fall, many of which were for Almost Live Season 2. But there are a handful of videos that didn't make the cut, but still have some good stuff in them. So, today I condensed one of the videos into a short Youtube video. This was actually filmed on or around September 29 of 2018. I was out digging ginseng and looking for Bigfoot evidence. 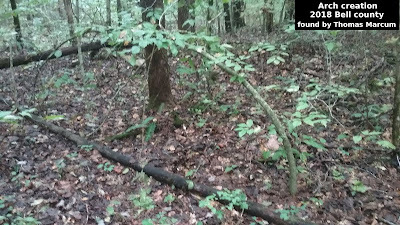 This was in an area I was very familiar with and one where I had found numerous signs of Bigfoot. This was after several days of rain and the going was slick and dangerous. Here is the short video. 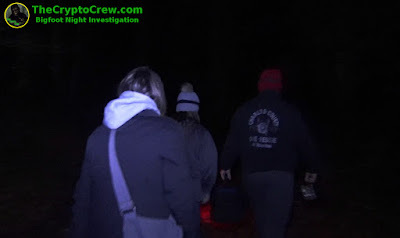 Recently TCC team members Tony Felosi and Jennifer Fugate did some Bigfoot night investigating. They took along a couple of guest. It was a cold night but the outing was successful. The area the team was in has a long history of not only Bigfoot sightings but also of paranormal activity. While out in the field the team tried wood knocks and whoops. They had some success and managed to get some reply whoops and something was near them in the woods. What follows is a very brief interview about the events that took place. 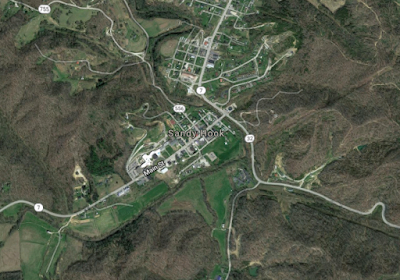 This report comes from Elliott County Kentucky, the nearest town is the Sandy Hook community. The encounter happened in October of 2018 close to Highway 650, which is known as Wells Creek Road. A couple were visiting family in Sandy Hook and decided to make a quick run into town. They also noticed they were low on gas. It would be a trip that they would not soon forget. In 2017 I released season one of Almost Live and it did okay. It was never intended to be a Amazon series but at the suggestion of a friend, I put it on Amazon. To my surprise it performed fairly well considering it was just something I did quickly. Season one contained 10 total episodes that focused on Bigfoot research and digging ginseng. So, I decided that I would film a season two and put more effort into filming and editing. I used some different and better cameras while filming. For season two, I also wanted to focus more on Bigfoot research. 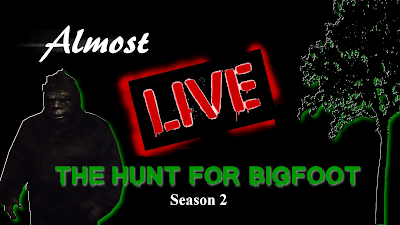 Season two is filled with some very compelling Bigfoot evidence. Almost Live follows author, bigfoot researcher, survivalist and adventurer Thomas Marcum as he hunts for Bigfoot in the deeps woods of Kentucky. Thomas explores several Bigfoot hotspots during the season to uncover various Bigfoot evidence. Along the way, he tell viewers about nature and offers tips for the outdoors. This is a still frame captured from a video by Taylor & Tate NCSW. It is not a still frame that I personally captured from the video, but one I found in a Facebook group. I had to make that clear as the Taylor & Tate NCSW are now telling people they can not reproduce the image and they have all the legal rights to said image. 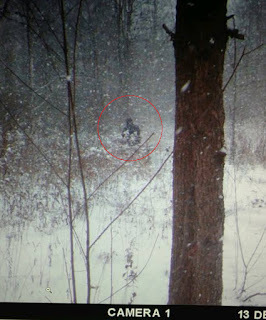 This image has caused a good stir in the bigfoot community with many people getting very excited at this trail camera image. The image was captured in North Carolina by a man named Joe Hunt if my memory is correct. Taylor & Tate NCSW did an interview with the man and broke the story via Youtube. Here is that video followed by some commentary. UFOs? Aliens? Secret Military aircraft? 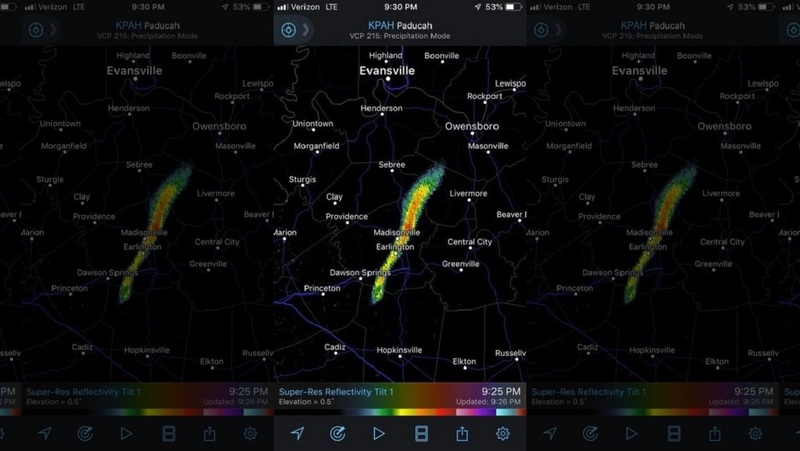 No one really knows for sure but a series of mysterious blips appeared across radar in southern Illinois and western Kentucky Monday night. Some thought it was some type of secret military craft but a near by military base said it was nothing they were doing. Others have speculated that it was some kind of outer space UFO, visitors from another world. But could there be a more practical explanation? Gaslighting is the act of telling someone they didn’t see what they think they saw and attempting to shut down the conversation and make them think they’re crazy for bringing it up. Paranormal witnesses and investigators know this all too well. People do it to them all the time. But they don’t care. Being called crazy in the paranormal community is a badge of honor they consent to wear. This is the price they pay for blazing the trails for true critical thinking. The world is changing fast, and there’s a war raging right now on out-of-the-box thinkers. 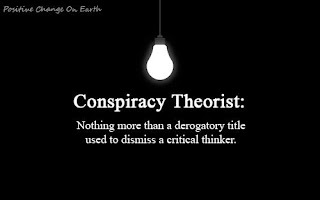 Anyone capable of thinking beyond what they’re being told on a daily basis by the media or any other of the powers-that-be, are being called conspiracy theorists, or just unintelligent. But why? Well, let’s be real here. Some of them have an agenda. And not a very nice one. Some of them would like to suppress any kind of critical or out-of-the-box thinking because it threatens their status quo and their ability to manipulate us. Is this a Dead Bigfoot? I know I'm probably showing my ignorance again, but in my defense, I do stay rather busy and have a hard time keeping up with all the Bigfoot stuff. 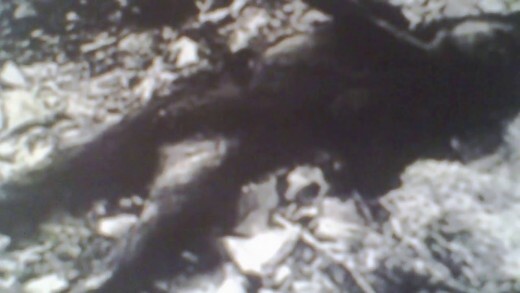 But I ran across this picture and the claim was that it was of a dead Bigfoot. Now, I do not know where the picture comes from or where it was taken. I do not know how the supposed Bigfoot died, whether it died naturally or if it was killed by someone. So, I was checking out some Youtube videos and just generally surfing the internet when I ran across this story. The version I found was done by Dixie Crypitd. 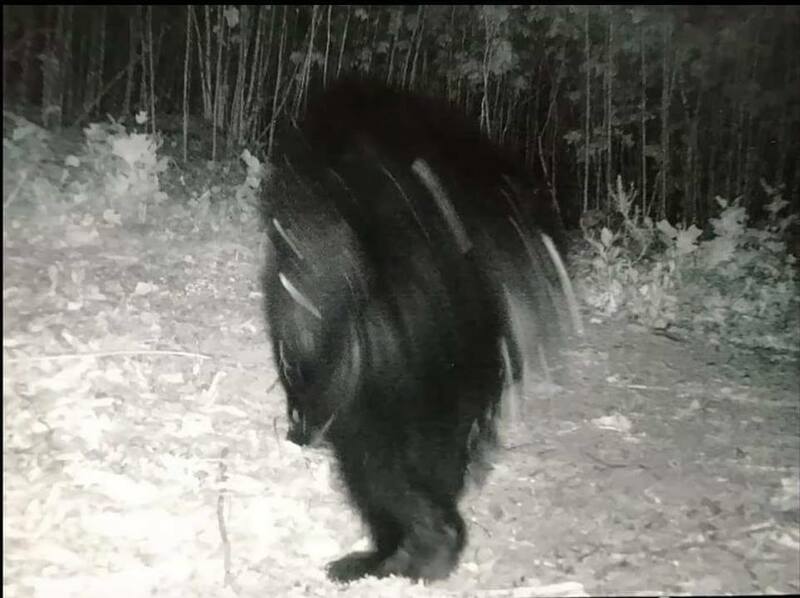 Supposedly, this photo is from a game camera. The hunter on the left is walking toward his ladder stand. 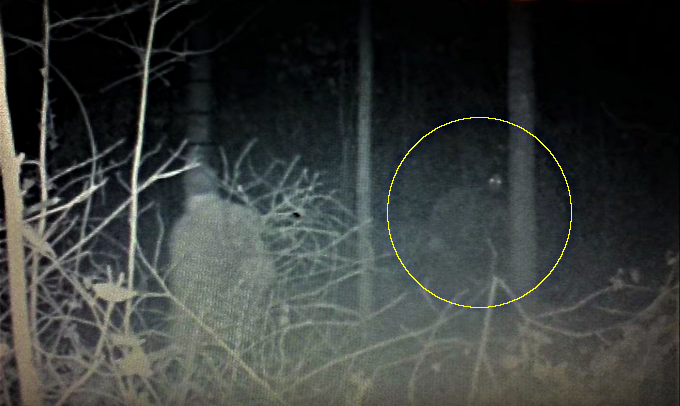 There also appears to be a possible Bigfoot on the right, looking right at him. I assume this was taken very early in the morning hours while it was still dark. Most hunters make it to their tree stand while it is still dark. Here is the short video followed by some more information. Is This One Of The Infamous Men In Black? 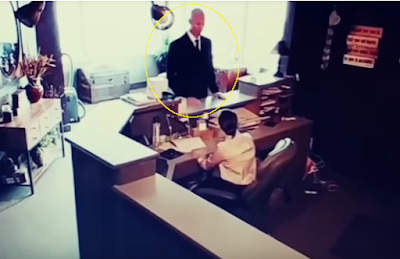 It’s not often we see a new video depicting the supposed Men In Black, but it’s interesting when we do. And this video is no exception. It was brought to my attention by Collective Evolution’s blog this week and it’s well worth a look. Said to have been taken by a security camera in a law office in Anchorage, Alaska and submitted to Apex TV on Youtube, the video shows footage of the receptionist appearing to have an interaction with this “being” and then walking off with him, never to be seen again. According to the story, the receptionist is still missing, but this story, of course, can’t be confirmed, adding to the mystery.